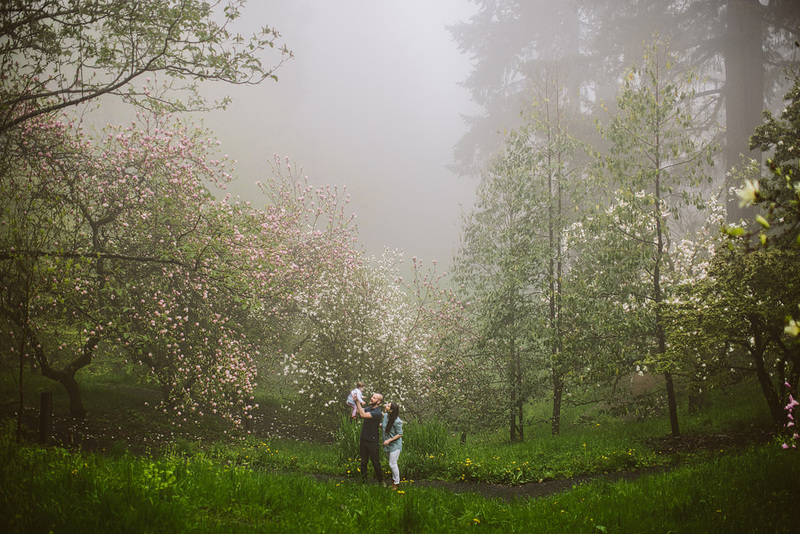 It was such a magical morning in the spring magnolias forest. 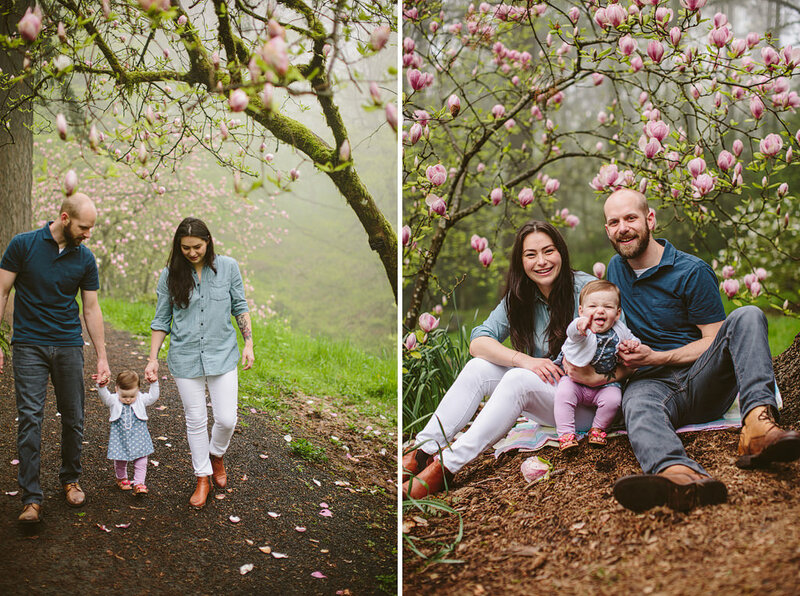 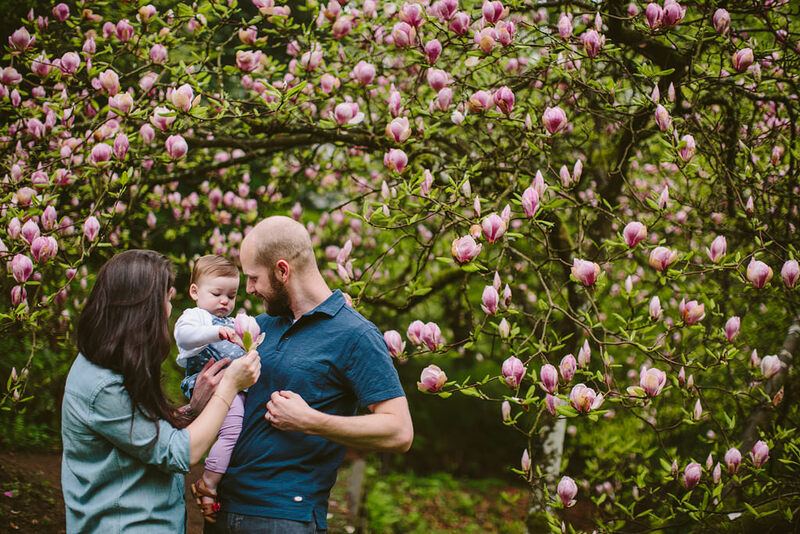 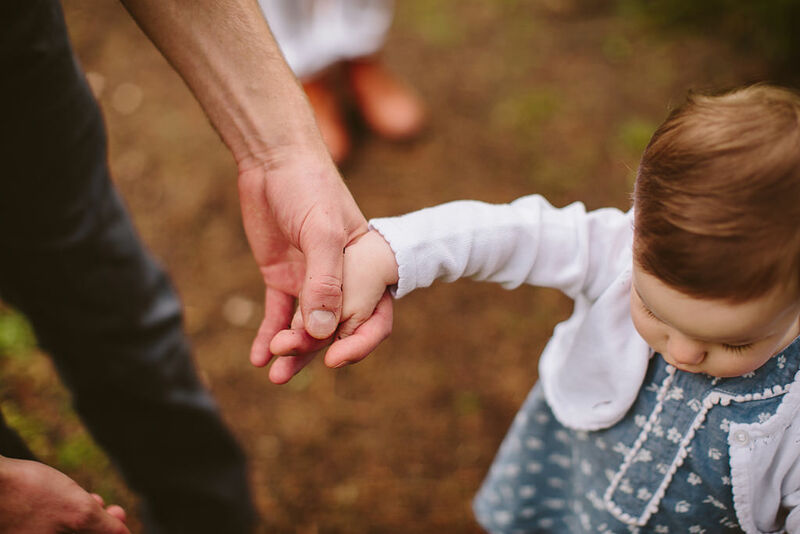 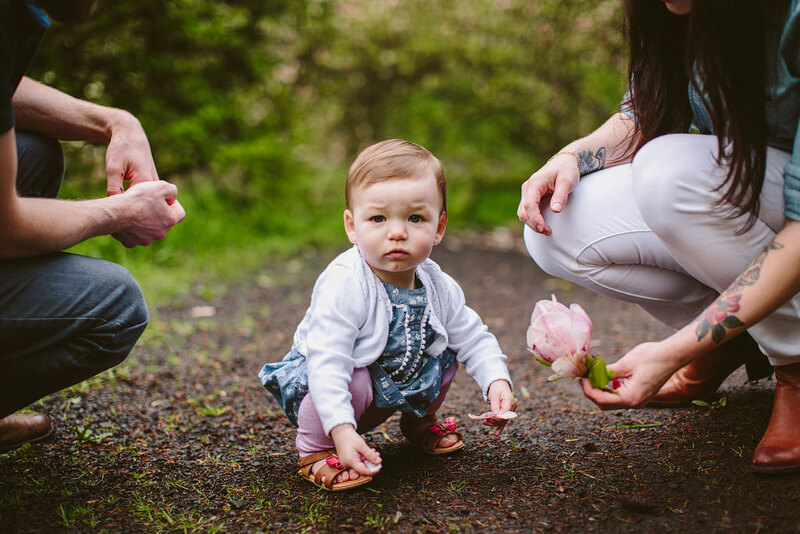 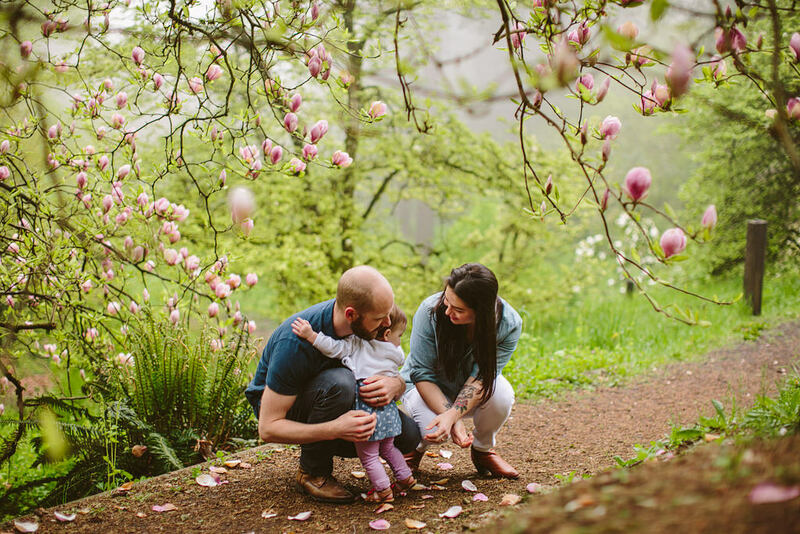 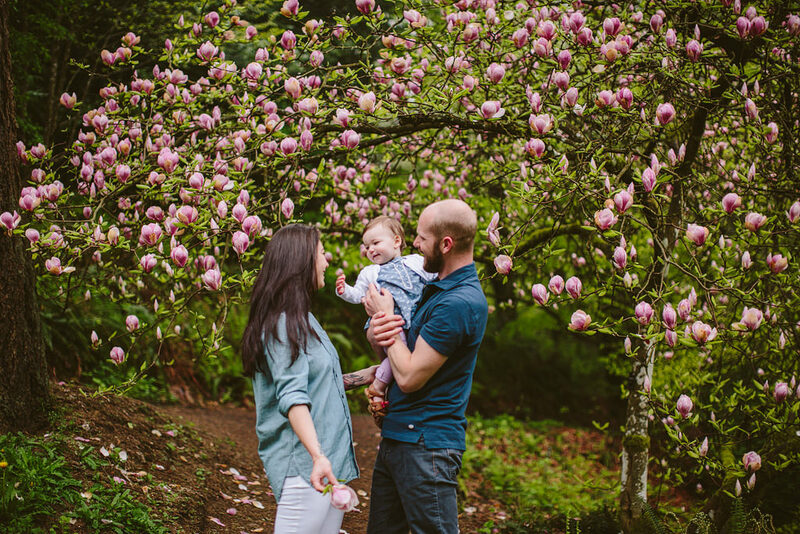 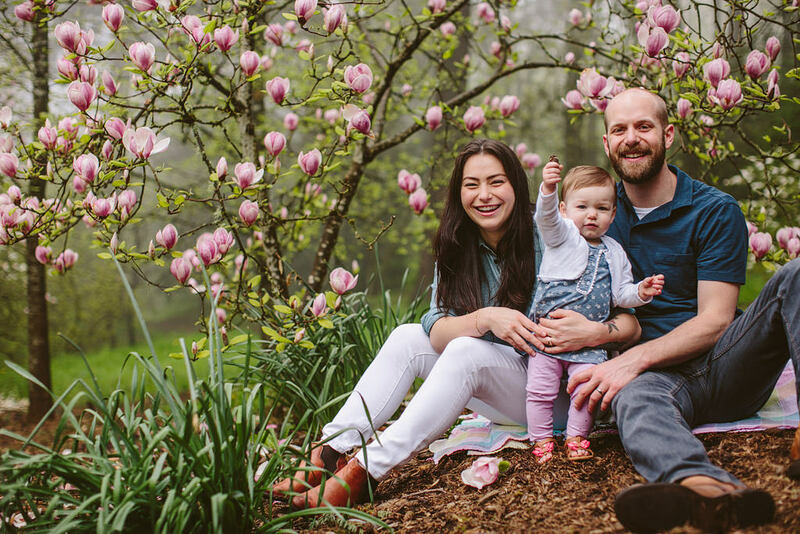 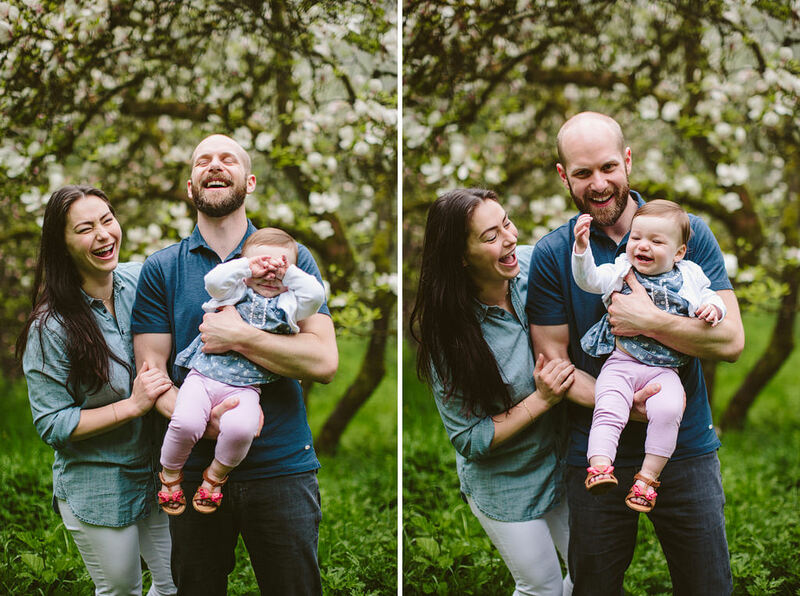 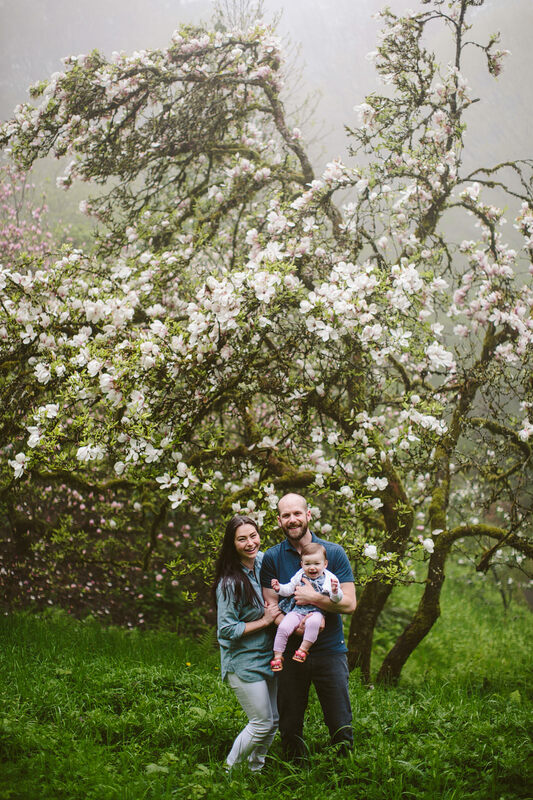 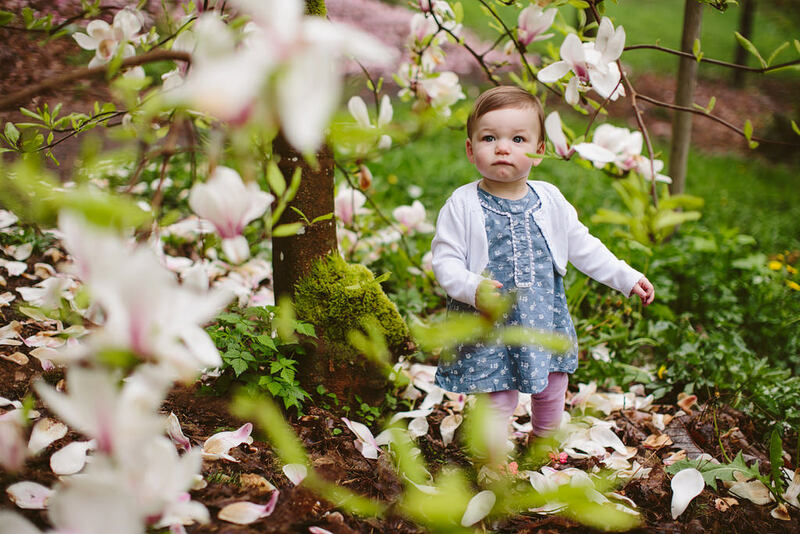 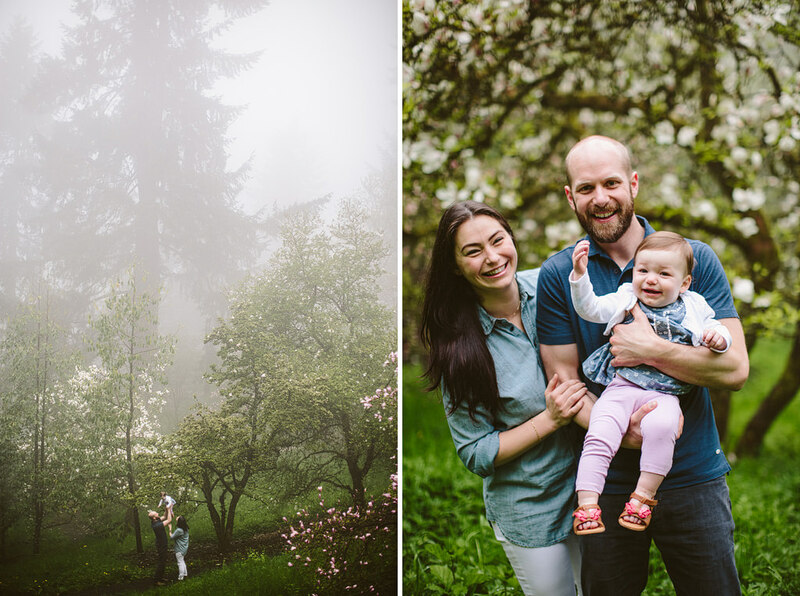 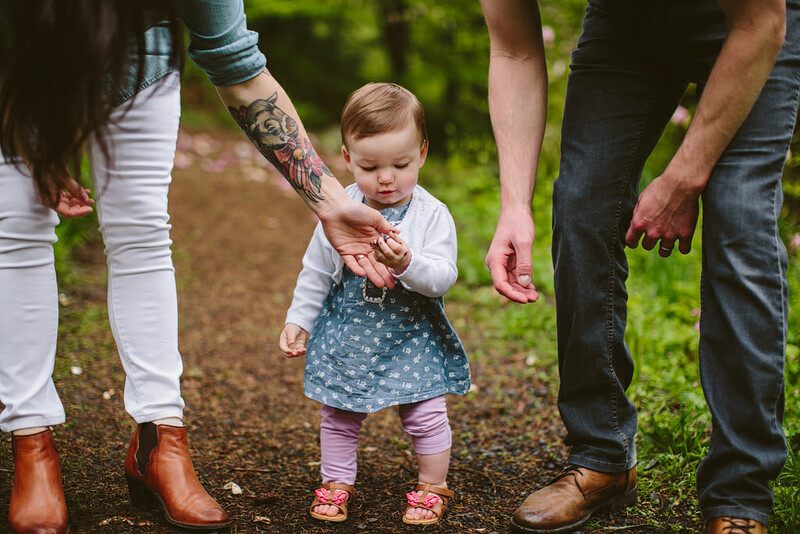 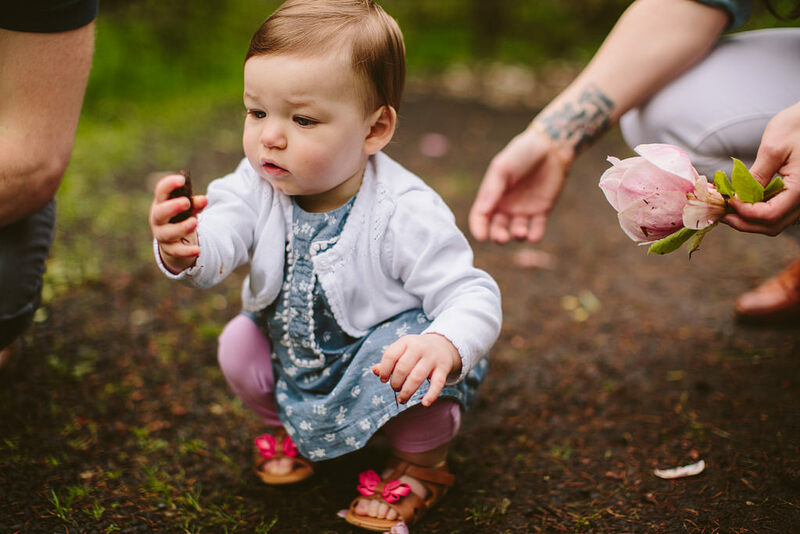 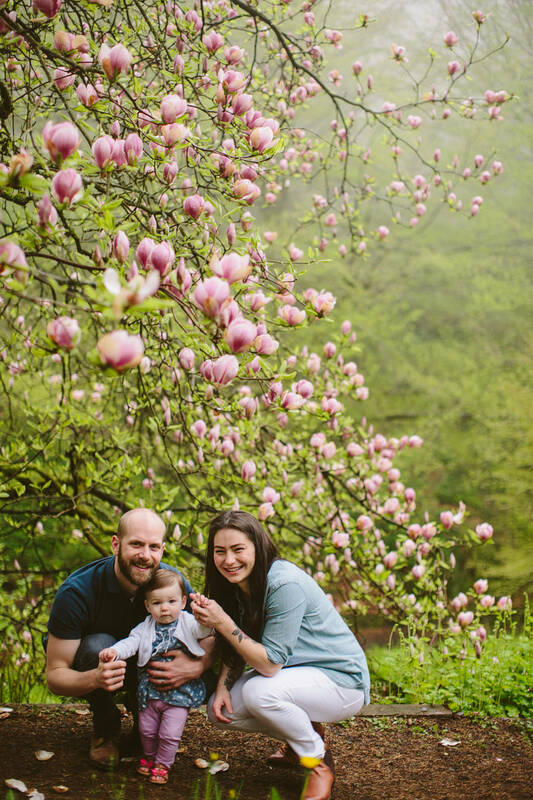 Shannon and Eric with their sweet little daughter had so much fun playing with the rocks, pine cones, flowers and dirt – all the favorites of a one year old! 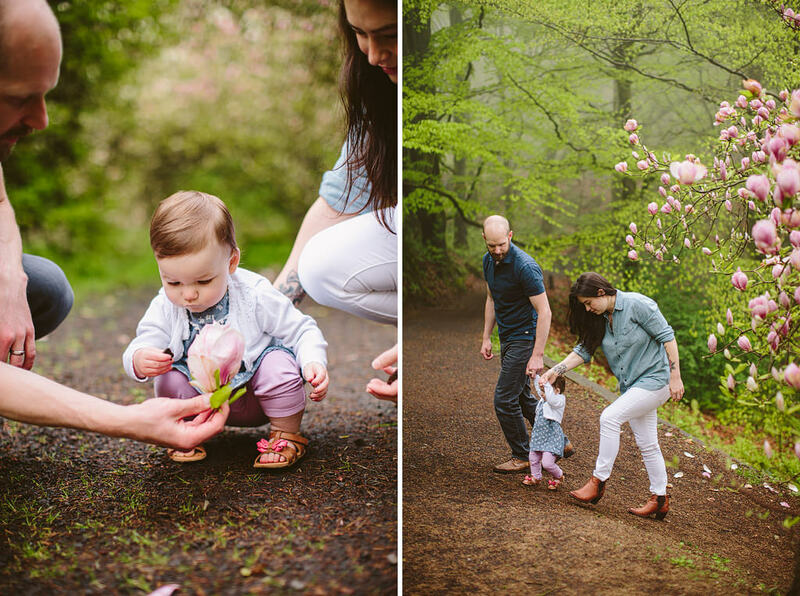 The blossoms were so beautiful, and such a fun place to run in and out from under the flowers.